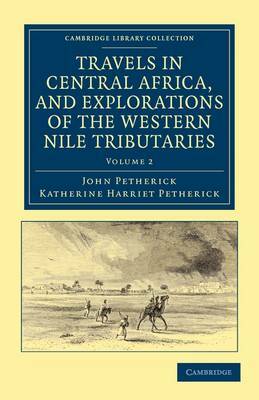 In 1861, Welsh explorer and British consul for the Sudan John Petherick (1813-82) departed for Central Africa on a mission for the Royal Geographical Society, with his wife Katherine (1827-77). First published in 1869, this two-volume account is based on notes and letters mostly written by Katherine, and describes their journey to Gondokoro, bringing boats and supplies for Captains Speke and Grant. Her descriptions provide valuable insights into African customs and traditions, particularly with regards to the condition of women. The work also gives an account of the controversy in which Petherick was falsely accused of taking part in the slave trade. Volume 2 contains letters and official documents that clarify this controversy and exonerate him, as well as several richly illustrated appendices describing the local fauna and flora.